Back on my days on the farm a la Laura Ingalls, Farmer Brown got buzzy. Since we parted on good terms, he showed up a few weeks ago with two jars of his labor. Look at how beautiful it is. I am proud of his work. I wanted to make sure that I made something worthy of the honey. 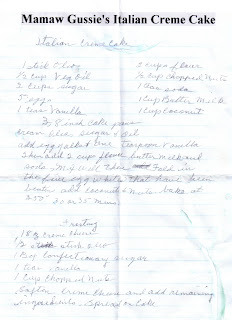 I searched and looked for days and found this recipe in an old church cookbook. I thought it would be perfect. It was good but didn't really showcase the flavor of the honey like I had hoped. Heat oven to 400 degrees. Grease a 9" round cake pan. In a small baggie, combine brown sugar, cinnamon, nutmeg, and graham cracker crumbs. In another small bowl, combine melted butter and lemon juice. Separate dough into 10 biscuits. Cut each biscuit into 4 pieces. Drop biscuit pieces a few at time into the baggie, and shake to cover biscuit pieces completely. Do this until all biscuit pieces are covered. Arrange coated pieces evenly in the prepared pan. With a small wooden spoon handle, poke a deep hole in each piece. Drizzle with the butter mixtures. Sprinkle with nuts. Bake for 12 -18 minutes or until golden brown. Turn immediately onto a wire rack and invert to a serving plate. Fill the holes with honey before serving. I used the wrong kind of biscuits and my honey holes filled in. I'm still looking for ways to use the rest of the honey. Any good ideas? 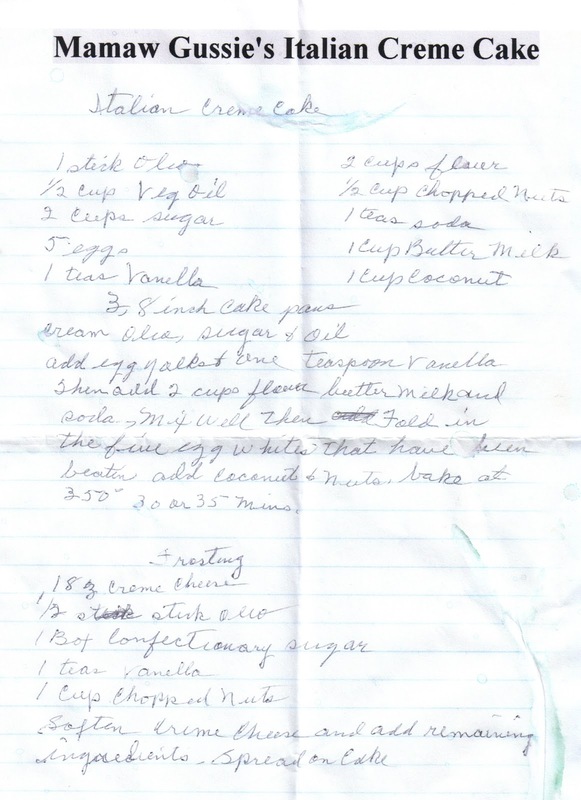 My Grandma Gussie's recipe in her own handwriting. the silverware of my husband's grandparents. from the beginning, "sift and mix dry ingredients"
Because when school starts and I barely shuffle through the days, I rely on my crock pot to cook many of our meals. It requires a little morning prep, but it is so worth it to come home and have dinner ready. Unless.....you are wrestling with a too large turkey breast. Position One - Breast up. Lid doesn't fit. Position Two - On its side. Lid doesn't fit. Position Three - Breast Down. Lid doesn't fit. Position Five - Carving knife taken to horrid turkey breast by irate housewife. Lid fits. A whole month since the last post? Probably. But you see, that first month of teaching is hard work. I get in there and give it a good go because those first harried weeks of establishing expectations will carry me through to May if I do it right. It is worth doing right. By the end of that month, I'm pooped. Pooped to the point that I get sick. This year, the end of this first month, I got strep. After I've been down and gotten back up, here is how I spend a good, quality Saturday. If you happen to live in America's Smallest Cool Town, like I do, you go to the Farmer's Market first. Buying local and supporting small business makes me feel less guilty about buying all the cheap, lead-tainted crap I'll throw into my cart later at the Mart. Look what I found at the Market. One of my favorite vendors, Spangler's Farm sells his popcorn. All summer I tell him how much I admire that he shells out his peas into containers because people will buy them better that way. (And in what world have we become so lazy that we can't shell peas? I love the feel of running your thumb up between the hulls.) I got all excited talking with him about taking the kernels off the cob. He has a little gadget. Next year, put it on the list, I'm growing my own popcorn. Some Saturday mornings, the thought of what B. sweet confectionery will have made is the only thing that gets me up and out to the market. She didn't disappoint on Saturday with her Pancake and Bacon Cupcake with Sweet Maple Frosting. That was the best cupcake ever. Not even worth trying to copy. She nailed those flavors. She has the sweetest booth full of color at the earthy market. This was her last Saturday at the market. I will think fondly of pumpkin donuts and orange cranberry scones until next year. She does do custom orders if the wait gets too long for me. This is me in the parking lot, sitting in the Nugget Wagon, gearing up for the trial of the Mart. Can you see that butter on the blueberry scone? Shut the front door, those scones are the best morning smile. Pair it with Sophie's gourmet hot chocolate and there isn't one squeaky wheel cart in that whole store that could get you down. This is me, waiting in traffic in the Nugget Wagon. Traffic is bad in our town. Truth is, you get all excited and vote for your town to be the Coolest, the people will come. Every person that comes, though, spends money in our town. I may have to wait a few more minutes some days in traffic, but isn't it worth it to see this pretty town bustling? Once I made it home and put the groceries away, this is where I made it. Those are papers to be graded in front of the TV. The TV was showing "Legends of the Fall". It called my named and chained me to the couch. I had other things to do, but that trip out drained the rest of the energy out of my sickly body. To quote Anthony Hopkins here, "Screw 'em." I didn't get back up. I'm sorry to say that the television choices just went downhill from there. The pile of papers seemed to grow larger and the "Rachel Zoe Project" just went on forever. I had to stay with it to see what Jennifer Garner wore to the Oscars and whether or not Brad would quit or get fired. It was bananas. Even though I didn't get it all done, even though I didn't move far from the couch, even though Brad stayed to work with Rachel and Jennifer Garner looked stunning at the Oscars in black even though it doesn't play well on the television screen, it was a good day. I shuffled through. The next few weeks require a little more shuffling, but hopefully, I'm back for awhile.